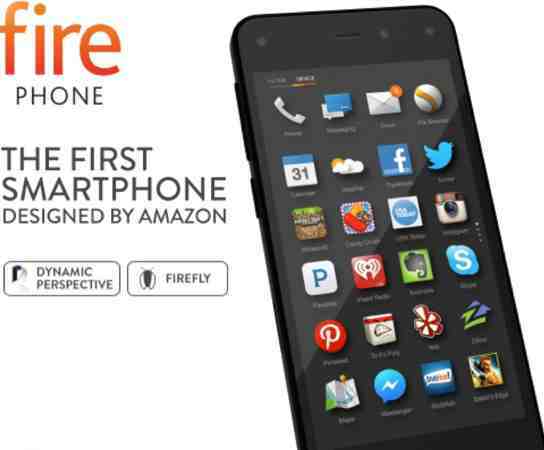 Unless you were hiding under a rock, you know Amazon entered the smartphone business June 18, 2014 with the launch of Fire. Although it’s highly unlikely the 4.7-inch Fire phone will dislodge the Apple iPhone or the Samsung Galaxy series from their high perch any time soon, the Amazon smartphone does have a bunch of cute features that should appeal to a lot of potential buyers. * Unlimited Cloud Storage of photos taken with the Fire. Thanks to Amazon’s Cloud Drive, Fire owners don’t ever have to worry about where to store their photos or running out of space on the device because they get unlimited cloud storage for all their pictures. * A sharp 13-megapixel camera with a fast f/2 aperture lens, optical image stabilization, LED flash and a dedicated shutter button. Both iPhone 5S and Samsung Galaxy S5 lack optical image stabilization. * A so called 3D-like “Dynamic Perspective” sensor system that uses four cameras and four infrared LEDs in the front of the smartphone to provide useful features like one-handed gestures for auto scroll of a long web page without touching the screen or lets users tilt the device in music mode for lyrics and immersive apps and games. * Firefly scanning utility with a dedicated button to let Fire owners get information on 100 million items including movies, TV shows and songs and easily buy all of them from Amazon. * Free 12-months of Prime two-day shipping and access to Amazon’s vast trove of streaming content (movies, TV shows and music) and 500,000 books from the Kindle Owners’ Lending Library. * Mayday button provides quick access to an Amazon tech support representative in 15-seconds via live video 24×7, 365 days a year and for free. Mayday is available on WiFi, 3G and 4G. * Automatic backup of device settings, notes, bookmarks, messages and installed apps to Amazon’s cloud. * ASAP (Advanced Streaming and Prediction) predicts which videos users will want to watch next on Prime Instant and pre-caches them for quick play. * Tangle-free earbuds with flat cables and magnetic buds that stick together. * A Second Screen feature to let Fire owners “fling” TV shows and movies from their device to Fire TV set-top box, PlayStation or any other Miracast-enabled device. This is kinda like Apple’s AirPlay feature. Second Screen lets Fire users turn their TV sets into the primary screen, freeing up their device for playback controls and serve as a customized display for X-Ray (get additional information from IMDB movie/TV database), without leaving the TV show or movie they’re watching. You can pre-order Fire on the Amazon or AT&T web sites. The phone should ship July 25, 2014.